from 1910-80s for brides and special occasions. Shop online for fast delivery of antique, vintage costume jewlery. designers such as Trifari, Weiss, and Boucher. Unique, costume jewelry encompassing the years from 1910 to 1980 and a wide variety of jewelry such as necklaces, earrings, bracelets, pins, sets, bridal and also more difficult to find items such as hat pins, compacts, buckles, men’s items, and duettes. Dress-up your look for evening with a beautiful origial antique piece of jewelry. Brides will find some lovely antique and vintage jewelry perfect for their special day. 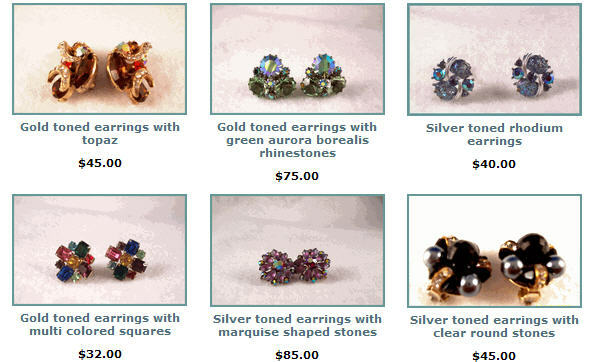 Visit our website to see many more lovely antique vintage earrings. Visit our website to see many more selections of vintage antique jewelry for all occsions. Visit our Jewelry website to see some more of our lovely pins and duettes. See many more unique mens antique jewelry at our website now! 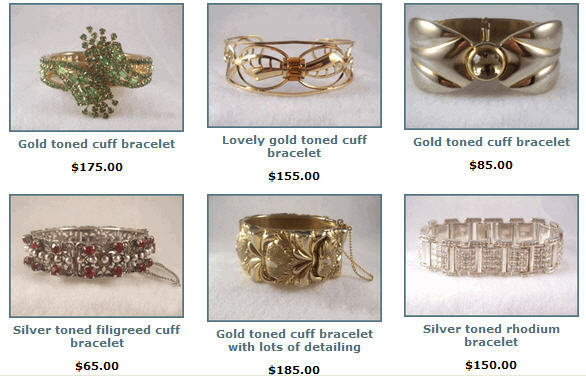 See more unusal dress clip, buckles and hair clips at our vintage jewelry website.